A reader has inherited the estate of her life partner and she would like to know what costs are involved to transfer the property into her name, as well as any other costs which may arise. After living with her partner for more than 10 years she is the sole beneficiary of his estate, part of which includes a fixed property valued at R5 600 000. There is a small bond on the property. The executor of her partner’s will has advised that the transfer of the property into her name will cost about R300 000. She asks whether it is possible that the amount to transfer the property can be that high. It is interesting that the reader refers to herself as a common law wife. Although this term is often used colloquially, often in relation to a fixed period of time, it is not really correct. The term life partner is a more acceptable reference and is not really required to have a fixed period of time attached to it. The concept is based on the so-called consortium omnis vitae bonorum or a universal partnership, also called a partnership for life. This is very much intention-based and the time issue can merely be considered as one of the factors should it be necessary to determine whether such a relationship exists. Other elements would include things such as that person’s contribution – property or otherwise – to the partnership. As the heir to her partner’s estate, no transfer duty is payable on the fixed property. Conveyancing-related fees would, however, be payable to effect the transfer. The fees are determined by way of tariff, which is adjusted from time to time. 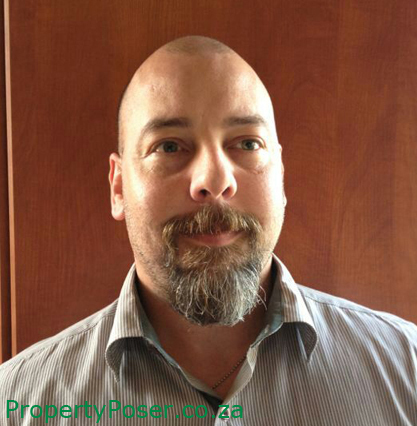 On a property value of R5 600 000, the costs are approximately R52 000. It is thus not clear what the amount of R300 000 is based on. However, it is quite possible that the amount is inclusive of other amounts owed and payable by the estate. The reader can request a breakdown of the amount from the executor. This and other costs are typically covered from the cash in the estate unless the estate is cash poor and no assets can be liquidated to cover the expenses of the administration of the estate. Should the estate not have sufficient funds to settle the outstanding bond and pay the conveyancing fees to transfer the property to the reader, she can pay such costs to prevent the fixed property from being sold. There is no indication of the financial liquidity of the estate. But it is possible that our reader was paid certain amounts of money such as life insurance that did not fall into the estate, giving her sufficient funds to cover any such costs. If this is the case the estate may have creditors who need to be paid. The executor’s fee may also be considerable based on the usual amount, 3.5 per cent plus VAT, unless a lower fee is agreed. When available, the reader should carefully scrutinise the liquidation and distribution account to ensure that all monies paid by her and the estate are reflected. How much transfer duty to pay on inherited property Transferring fixed property to family member Steps in transferring inherited property Inherited property and siblings When is the best time to transfer inherited property?